Reputation Australia is probably best known for Public Relations for Government and we’ve been doing it for the past 30 years. 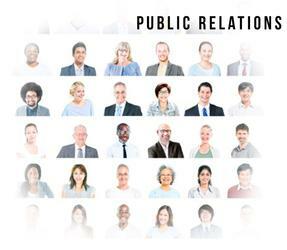 Our PR professionals have worked inside and alongside government at all levels as well as major government organisations. The team has managed good and bad news incorporating talents in branding, advertising, social media, writing, video production and graphic design. Reputation works with Government in Sydney, Melbourne, Canberra, Adelaide and Perth as well as regional centres Australia-wide. Our consultants are accomplished, senior PR professionals and seasoned journalists with extensive hands-on media management experience. We are well-equipped to develop powerful PR strategies (both online and offline), professionally manage a specific issue – or supply an on-going PR service. Our Brand specialists collaborate with organisations at management and even board level to develop a strategy built on collaboration with stakeholders. The result is a branding program that audiences can believe in. Video and audio content can be applied to great effect as part of an online communications strategy. Reputation Australia can create compelling content using video and audio in a conventional sense and in an online environment. We produce web TV programs, corporate videos, documentaries and specialist training programs for clients worldwide. Led by veteran TV Producer and Technical Director Chris Young, the team will produce video content for your trade show, presentation, sales package or website to add vibrancy and value. The team works with government and private sector clients in Sydney, Canberra and Melbourne and indeed in cities and regional centres across Australia. Getting Coverage – what constitutes a news story? Messaging – the most effective thing to say? Reputation Australia is led by Steve Cropper, a former TV and Radio journalist, political adviser and Public Relations Director. The team can deliver excellence in Public Relations and reputation management advice and support. To discuss how Reputation Australia can support your organisation, please contact us.